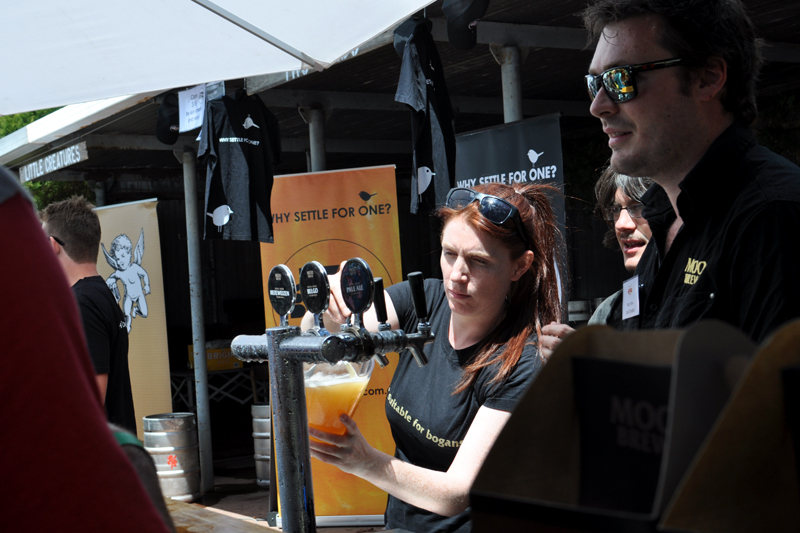 Victoria’s second largest city claimed the state’s second largest summer beer festival the weekend before last. 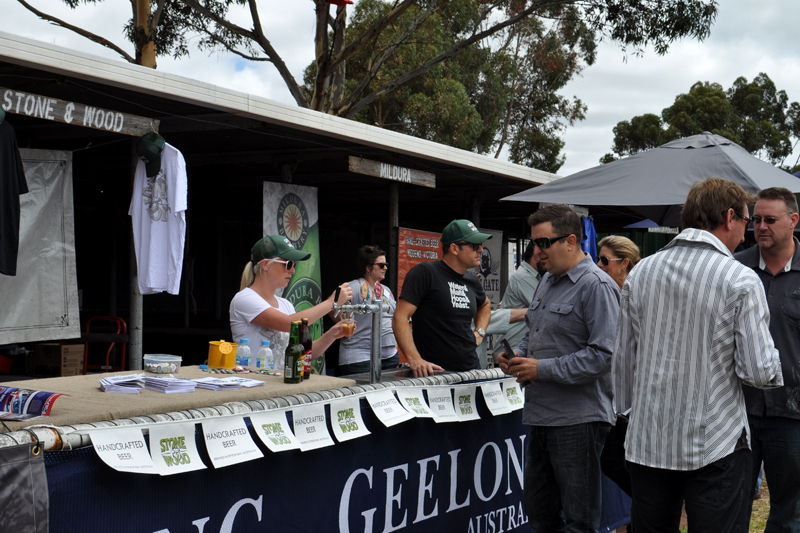 More than 4000 people passed through the Geelong Racecourse gates on Saturday to experience the first Geelong Great Australian Beer Festival. The eager crowd was greeted by perfect sunny weather and a friendly atmosphere. The enthusiastic small army of festival staff, volunteers and brewers helped showcase the region’s developing credentials as a hotspot for great beer, cider, food and entertainment. The organisers set up the festival with a strong focus on the region’s own beer businesses, with the aim to increase awareness of craft beer and Australia’s small brewers in the relatively uninitiated market of Geelong. Geelong is the business and industry centre for Victoria’s south west, which is home to the breweries of Southern Bay, Prickly Moses, Forrest Brewery, Bellarine Brewery and the new Little Creatures production facility. Speaking to Geelong locals prior to the festival indicated that the arrival of Little Creatures has recently lifted the brand’s profile significantly in town. However, overall knowledge of craft beer and other local breweries remained low. Inside the festival, brewers reported that the beer drinking majority seemed to be a mostly knowledgeable and willing crowd. Beer sampling was dominated by people who understood how to approach the diverse styles of beer on offer and they were keen to discover new flavours. Drawing on their now regular experiences of beer festivals, stall holders helped keep the lines moving quickly as a large crowd quickly filled the festival grounds. The seasoned brewers showed signed of mastering rapid pour and dialogue techniques with thirsty drinkers to alleviate the wait for your next beer taste. A dedicated cider hall was well attended equally by men and women, while a small grassy field that was surrounded by beer stalls was generally dominated by males. Joining the regular brigade of Victorian brewers that are commonly found at similar events across the state were the interstate additions of Moo Brew from Tasmania and Murray’s Craft Brewing from New South Wales. The point of difference offered by their presence was especially welcomed by the familiar faces of beer fans who make their way to all similar events. Free seminars held throughout the day were all very well attended across all demographics, with several reaching capacity well before the session was scheduled to begin. Held indoors, the sessions include a Q&A panel with five local brewers, a talk from Cavalier Brewing about their development of the Cavalier Courage beer to raise funds for motor neuron disease (MND); beer and cheese matching, then beer and ice-cream with the Beer Diva; and a home brewing basics session. 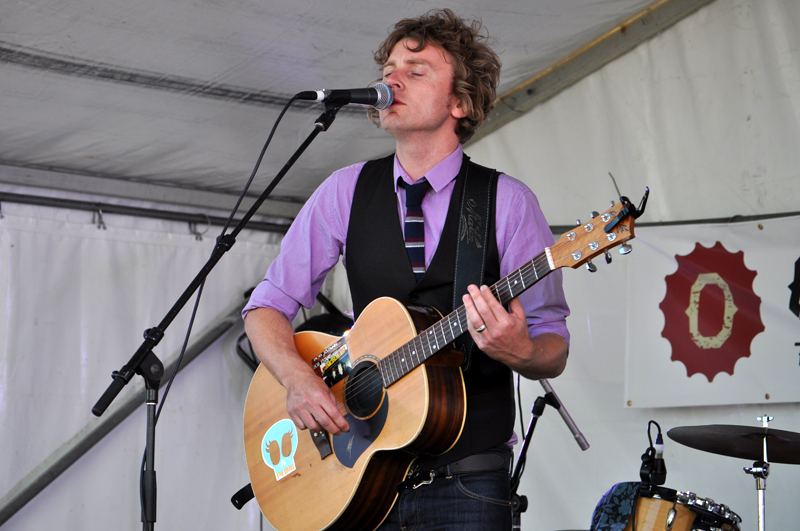 Music flowed from the stage, with Byron Bay duo The Firetree attracting great interest for their relaxed and soulful tunes. Bob Evans aptly headlined, gathered the largest audience who sang along with every song. He ventured off the stage with this guitar and posed for photos with the fans. As the crowed raised their cups of beer in cheers, on stage Bob drank red wine. “I know it’s weird to drink wine at a beer festival, but it’s available, so I will,” Evans quipped. He compensated for his beery omission by playing the beer festival appropriate song “Ode to My Car”, a rarely heard track from the debut Bob Evans album about his dying, beer soaked car. The Vaudeville Smash closed the festival’s entertainment with a party set of funky dance tunes for the loose and celebrating crowd. Following the festival, Australia Brews News spoke to Festival Director, Michael Ward, about whether the day unfolded as they had planned. Michael praised the atmosphere of the event and the behaviour those who attended. “The weather was just right, the numbers were as expected and the vibe was that of an alfresco beer garden,” noted Ward. The layout suffered a little from the dispersed arrangement of the food stalls and the location of the entertainment stage. The stage was positioned in a major thoroughfare between the beer, cider and wine and also on a sun exposed bitumen ground that prevent the crowd from sitting and staying in front of or around the stage. It was a concern that was recognised by the organisers. “Due to unexpected works at the racecourse we had to rearrange several key components of the festival. Unfortunately this compromised our planned layout,” explained Ward. Beer festivals commonly incite reports of how many drunk and disorderly incidents occurred that required police intervention. It comes with long held stigmas surrounding beer drinking in Australia, but at least helps highlight the merits of drinking for flavour and quality when few police incidents can be reported. Whilst many summer music festivals continue to be plagued by drug related incidents, the lack of alcohol related incidents at recent Victorian beer festivals has commonly resulted in favourable reports from police and media. The sentiment at the close of the festival declared a very successful first step towards achieving this aim, as the folk of Greater Geelong left with new understandings and awareness of diverse beers and local brewers. The brewers also reported their great satisfaction with the day, with festival goers draining many of their beer supplies dry well before the official closing time. Nonetheless, they also cautioned that these festivals are only of part of the road to their business success. For the effective growth and promotion of small breweries and craft beers, interest and uptake by the local retail and hospitality must flow on from such festivals. The true impact of these festivals needs to be measured in the new sales of craft beer products through the region’s bars and liquor outlets. After two years of the Ballarat Beer Festival, trade uptake of craft beer in Ballarat remains slow. 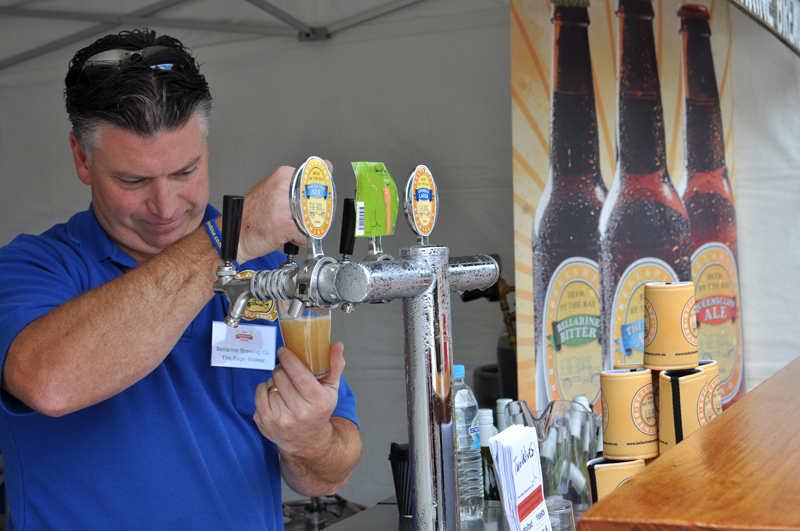 The local availability of the beers that the festival showcases has grown, but the overall trend remains in line with the growth in similar regional centres across Australia. A similar story has been reported by industry members following numerous beer festivals around the state. The public are receiving excellent exposure to beers through the festivals, but not necessarily the accessibility to those beers afterwards. Paul Holgate of Holgate Brewhouse told Australian Brews News that it’s the tireless work of their sales reps that has the biggest positive impact for their business. 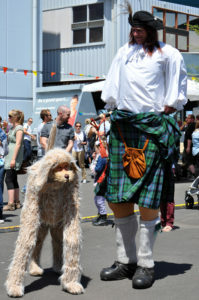 The success of the Geelong Great Australian Beer Festival was it’s offering of education and fun and in a relaxed and well coordinated package for the public. The impact will be known next year when the people of Geelong return for the second GABF. Will they be a crowd of beer fans who have been drinking a year’s worth of the beers they discovered last week, or will they be returning for another hit of the beers they can only drink once a year? We hope it’s the former, and the Great Australian Beer Festival has certainly shown its desire to help kick-start the change. 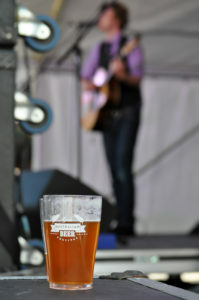 To see more photos from the festival, visit the Australian Brews News Facebook Page. Please come up with a different name.It is very confusing to have 2 GABF’s. The GABF in Denver is the original so get another name.I get a lot of emails that have GABF in the heading and I only want to hear about one and that is not yours. 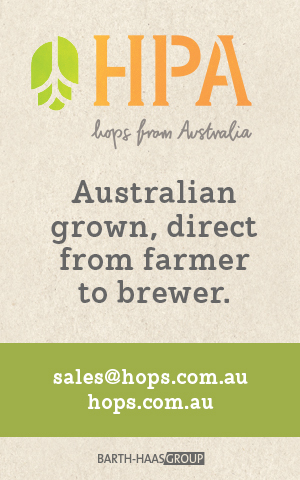 Australian Brews News is not affiliated with the festival. We attended the event as media, seeking to report on the news and happenings of beer and breweries throughout Australia.